The laundry room – a crucial part of any household which has a lot of washing and ironing to do. The bigger families understand this, but even a new couple will learn that a clean and organized laundry room will prove a lot helpful on days when washing a tone of clothes. In other words, chaos is the last thing you would like to see on that particular day. With this in mind, the principle of maximizing space shouldn’t be overlooked. So when you have a small laundry room to use, make every square foot count. In order to do that, we have supplied you with a collection of beautiful and inspiring laundry rooms. 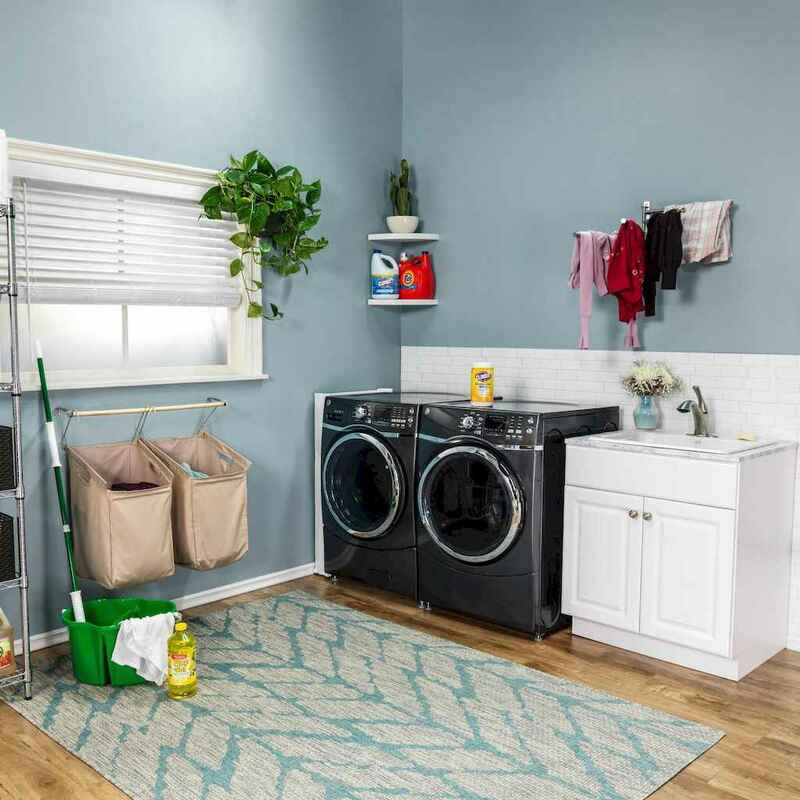 Here are a lot of ideas which you could use to improve how your laundry room looks and your house work around clothes will change for the better as well.